Welcome to the Wishes Quilt Along! This program benefits the Make-A-Wish Foundation and we are so thankful for all of your donations thus far! Today, we are debuting our seventh block, the Court House Lawn block! You have helped us reach 55% of our $10,000 goal so far, and we know we can push it all the way to 100% with your help. We and Moda Fabrics will be matching up to $10,000 of your contributions, for a grand total of $20,000! 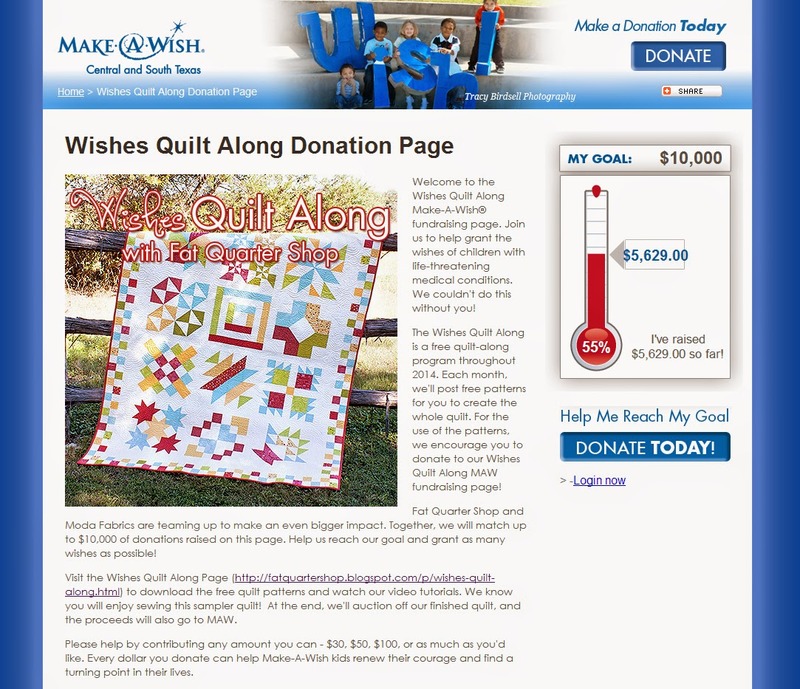 Join us as we quilt along to make a difference to the the kids of Make-A-Wish. Today is the seventh block in the program, the Court House Lawn! Are you ready to get started? Start by downloading the FREE Court House Lawn Block! We encourage you to donate after downloading each free pattern. Once you have the pattern downloaded and your fabric cut, watch this video tutorial for a closer look at piecing the Courthouse Lawn block. 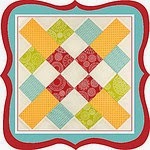 After piecing this block, please head to our Wishes Quilt Along Make-A-Wish Donation Page to contribute to our cause. Here is the backing video! Here's how to finish the quilt! Post your photos and see what everyone else is sewing on the Wishes Quilt Along Flickr Group or on the Wishes Quilt Along Facebook Group. Tune in next month for our eighth block, the Mrs. Taft's Choice block! Happy Quilting everyone!